Bryce Gilmore moved his beloved nose-to-tail restaurant to a bigger, better spot uptown. His tasting menu is still there, but with new a la carte additions like crab tamales and pig skin noodles. No time to leave downtown? 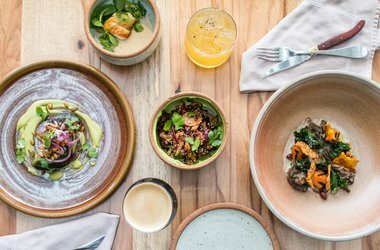 Drop by his other South Lamar spot, Odd Duck, for equally outstanding small plates (think mustard seed tater tots, shitake doughnuts, and croissants with runny egg yolk).